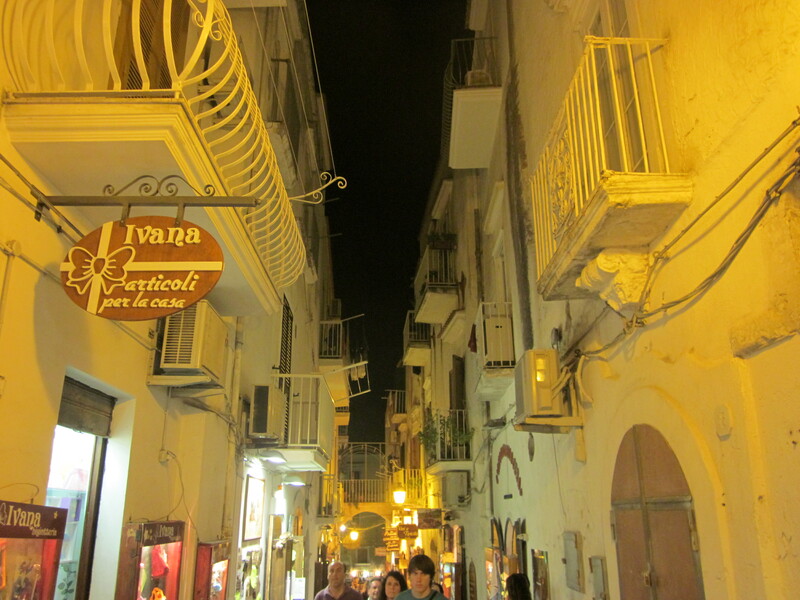 Last summer when I was holidaying it in Puglia the bf and we spent some days in Vieste. 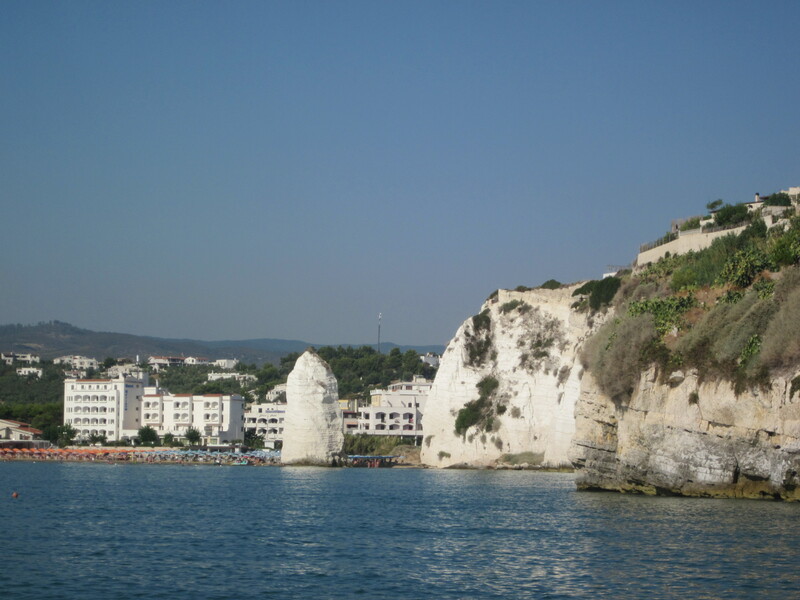 It is known for the purity of its waters and has received blue flag awards. 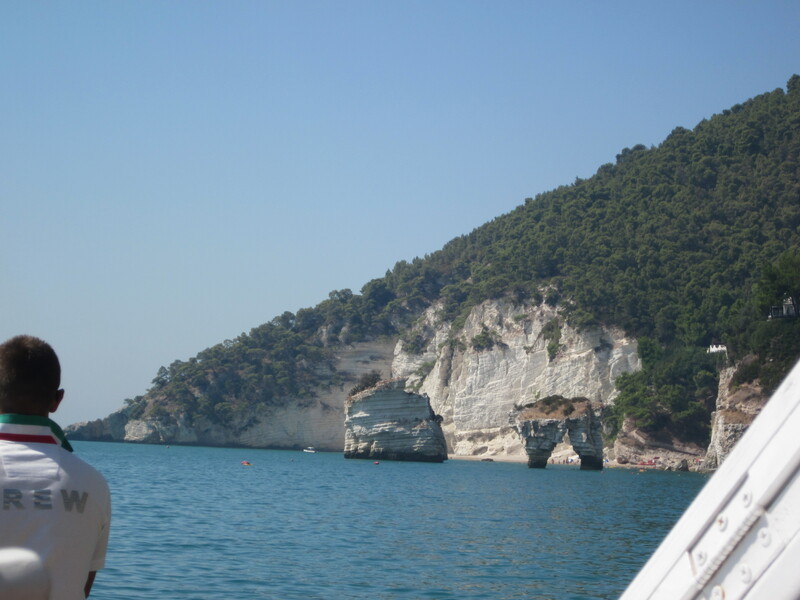 This meant I actually swam in the water which was amazing! If you are looking for clean waters, a beautiful beach and a relaxing atmosphere this is your place. 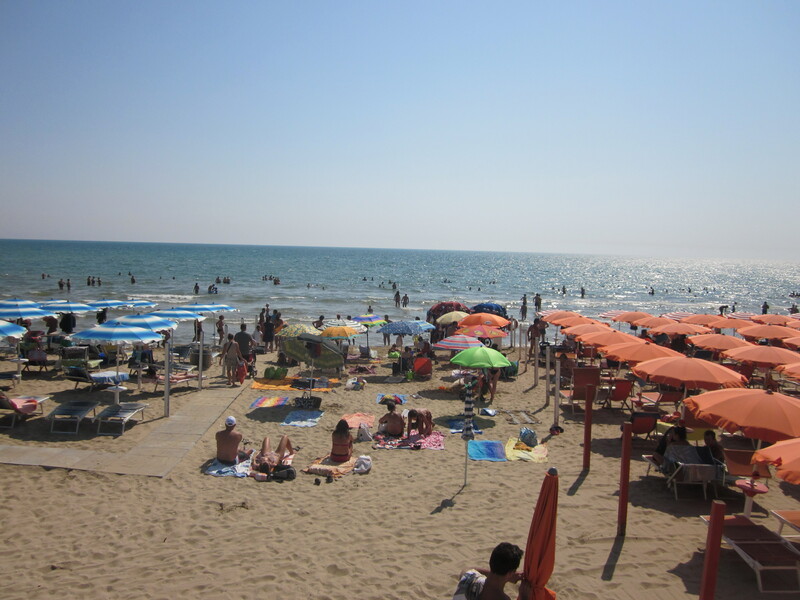 I found it was mainly Italians who were escaping their cities for some Southern sun, which meant there aren’t any tourist being herded around the town. 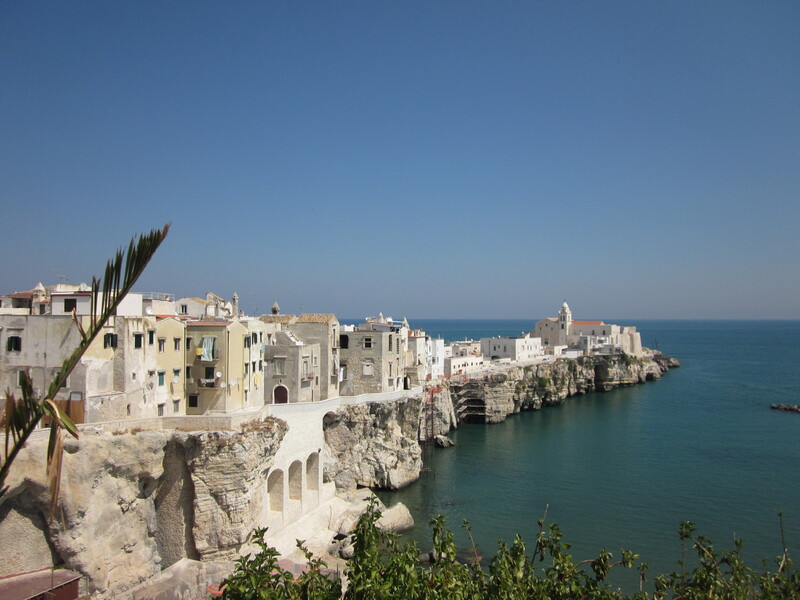 You may see the occasional tourist but Vieste is very much a Italians holiday destination. 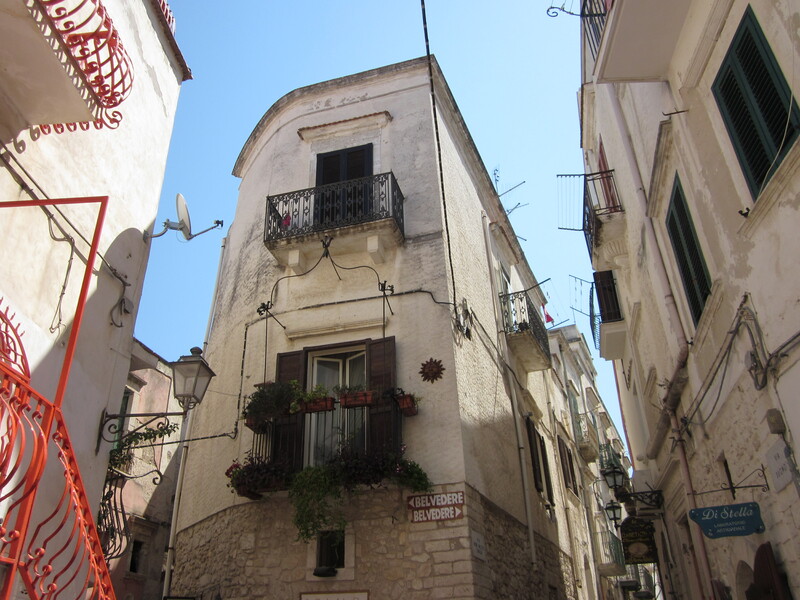 Why did we head to Vieste? 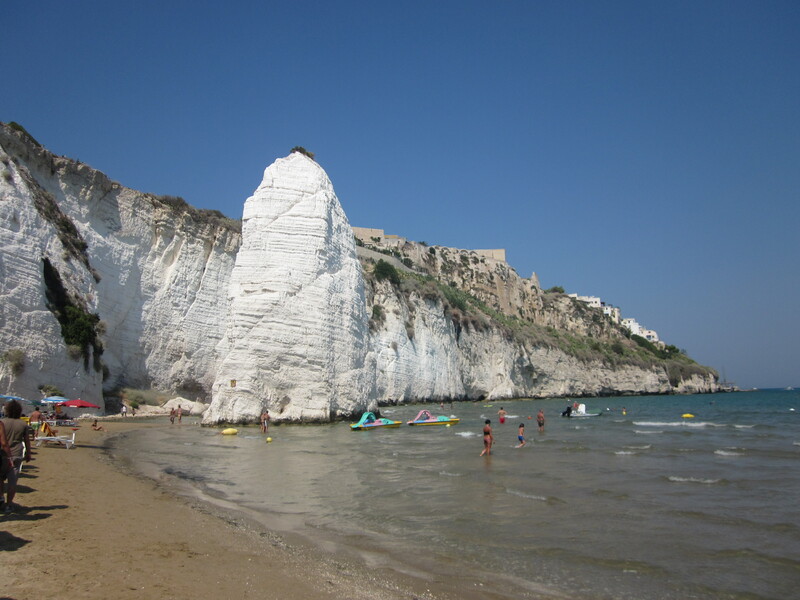 Well the part of Puglia my boyfriend comes from all the beaches don’t have sand but stones or pebbles, so it made a nice change to lie on the sand and be comfy. This…. 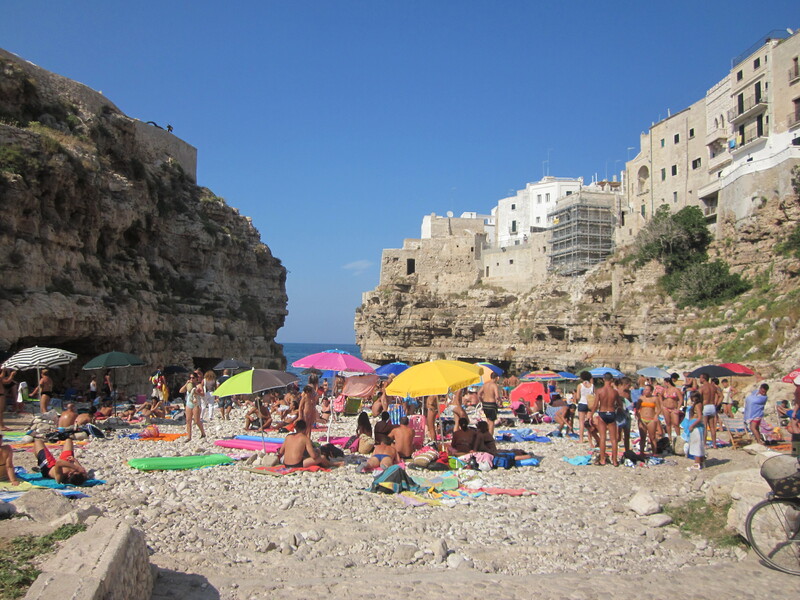 Polignano a mare. Those stones are not very comfy but the water was beautiful. 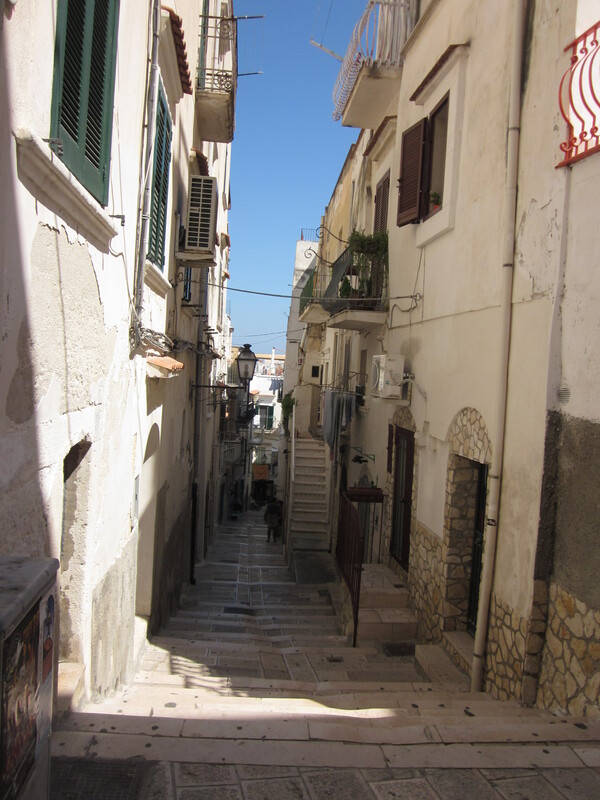 Vieste is a typical cute Southern Italian town. Why wouldn’t you fall in love with it? 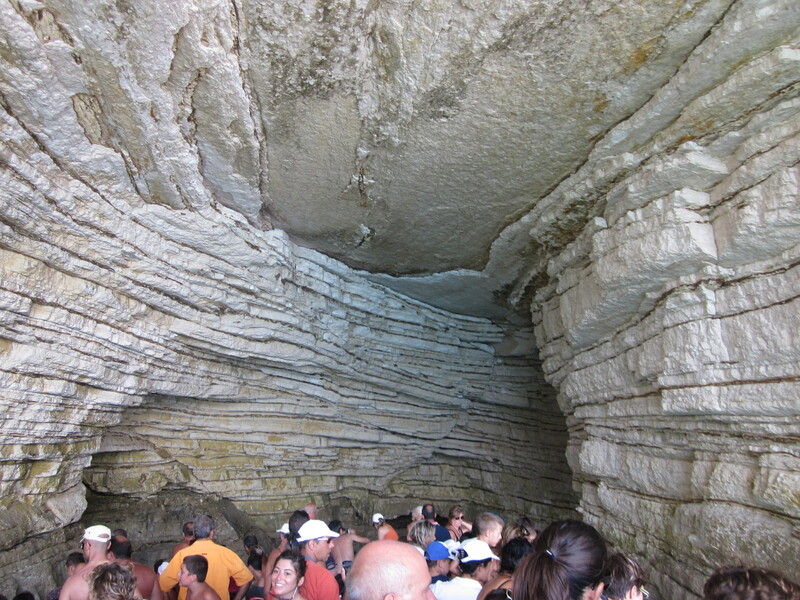 While we were there we took a boat tour of the grotte. A must see! Just take a look at some of the snaps I took…. The boat trip was run by a man and his son. 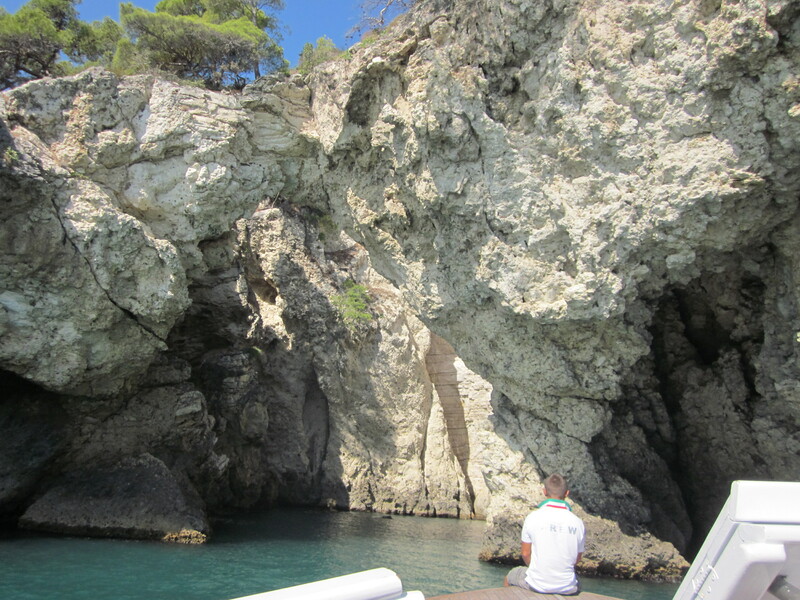 As you can see in the photo his son sat or stood on the very front of the boat, as well as touching the walls when we went inside the grotte. I genuinely thought he might fall off! He is clearly a pro at balancing himself on the edge of a boat. 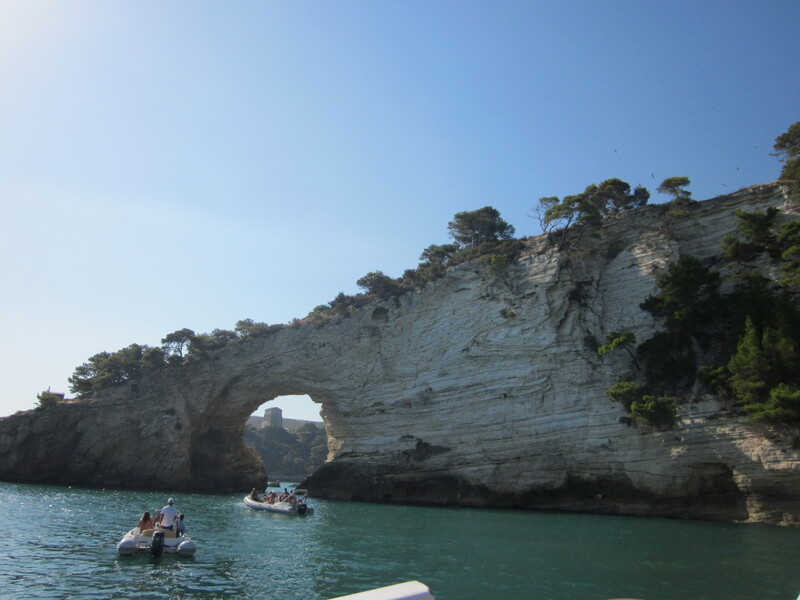 Included in your boat trip is a half an hour stop at another beach along the coast before heading back to vieste. 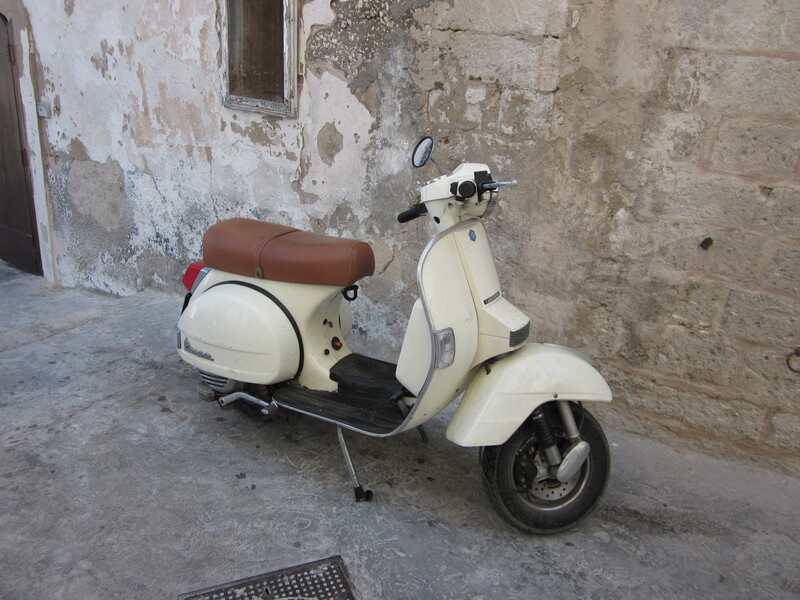 ← When in Rome, do as the Romans do.